GRAMMY® nominated DJ and producer Armin van Buuren has joined forces with award-winning digital music service Spotify for his brand new single. 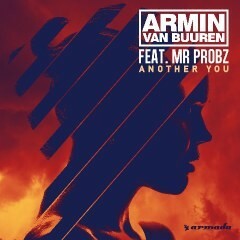 ‘Another You’ features the vocals of multi-Platinum artist Mr. Probz and will be exclusively available on the streaming service till the official release date of 8 May. 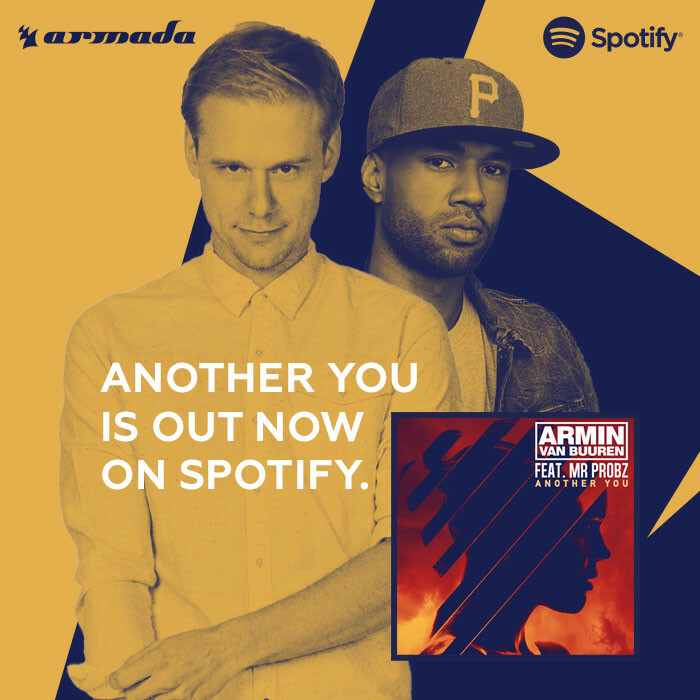 Armin has had a special relationship with Spotify, ever since he was the first DJ to upload his weekly radio show (‘A State Of Trance’) to the streaming platform. In July 2014, Armin van Buuren broke the one million mark for Spotify followers, ensuring he was the first ever Dutch artist to reach this milestone and making him part of the top 50 most followed Spotify artists in the world, in any genre. The amount of followers has since grown to 1.3 million followers. A few months later, Armin’s ‘A State Of Trance Radio’ playlist surpassed the mark of 200,000 followers on the digital music service, making him the second most streamed artist. That number has only been exceeded by One Direction, with Armin currently closing the gap to 8,000 followers to date (227,000 vs. 235,000). From there on, the partnership with Spotify strengthened further, with ‘Another You’ now being exclusively available on Spotify for approximately two weeks. Armin van Buuren: “My label Armada Music and I believe streaming is the future and we are committed to a long-lasting partnership with the platform."